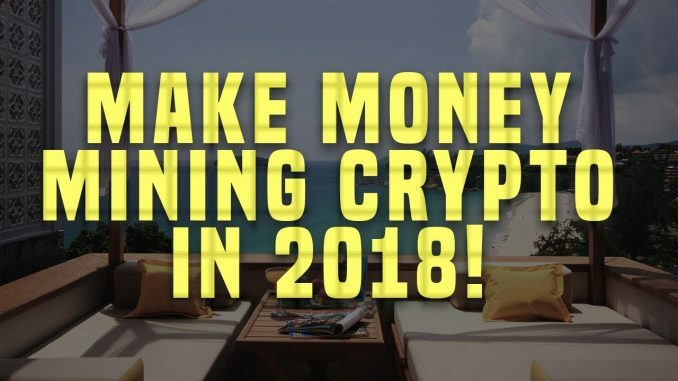 Hi guys, it’s me Frankwealth here again to share with you, yet another amazing easy but powerful internet money making secret in 2018 and beyond. In this wonderful online money making method, you will learn a powerful new method to earn fast legal money online mining crypto currency which you can easily sell or exchange to USD. This method is pretty new, just as the system is, so act now to be among the first to cash in with this new awesome internet money making secret. All you need is a simple website which you can edit the code of, and can use some free hosting. (I personally, will recommend www.freehosting.com for this purpose mostly), and you know why? To ensure you do not incur any cost while trying to execute this money making method. For those of you who may be wondering how much they can earn with this new internet money making method of mining crypto currency online, the ICO price for the coin is $0.006, so we'll keep that as the baseline price of the coin (probably will go higher once in exchanges but market decides the price of every crypto currency, likewise this one). In order to get started with this new internet money making method, all you need to do is to sign up for JSE and get your embed code, paste it into the body of your website and publish it, to know that it has been properly implemented and working, there will be a little notification at the bottom of the page saying "This website is using JSE", and that’s all you need to do. What next? Push some traffic to your website, how? How to make good steady income with this crypto currency mining method? The amount of traffic you generate on your website where you embedded this crypto mining script will determine how much money you will earn. But remember, in this case, YOU DO NOT NEED REAL TRAFFIC, bot traffic will work perfectly as long as they stay on the page for 20 seconds or more. You will need a lot of traffic to be making profit, so I my own case, I sent 90k bot traffic as a test to see how much it would make, and guess what? I got around 695 JSE coins from 90k bot traffic. If we want to convert this to real money known as FIAT, that’s around $4.5 for 90k bot traffic hits. Also remember, if you send real human traffic to your website, the earnings will be far higher than what I narrated above. I only used my bought bot traffic to make an instance for you to have background knowledge of how the earnings work. And just to also set the records straight, 1000 real human traffic to your website will give you 8 JSE coins, so the more your real traffic, the more you earn, and the more it also helps your website ranking and other earnings, which makes it a win-win situation for site owners, so what are you waiting for? Click here to register a free account. Note: watch the video on the link to help you understand the process better.